Driver grew up playing hockey in Toronto, Ontario, Canada and attended the University of Wisconsin where he captured the National championship in 1981 and again in 1983 while wearing the Captain “C.” Drafted 108th overall by the Colorado Rockies in the 1981 NHL Entry Draft, he represented Canada in the Winter Olympics in 1984. Through twelve years with the New Jersey Devils, Driver played in 702 games accumulating 399 points. He served as team Captain in the early 1990s and as the Alternate Captain on the 1995 Devils team that won the first Stanley Cup in franchise history. After his time in New Jersey, Driver finished his career with the New York Rangers. He remains a part of the Devils organization as the President of the Alumni Association. 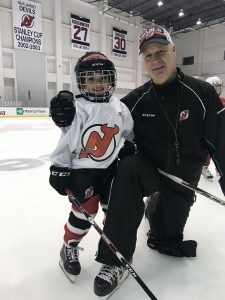 He has also spent the last 18 years coaching youth hockey for the Montclair Blues and Girls High School Hockey at the Morristown-Beard School. Driver was inducted into the New Jersey Scholastic Coaches Association Hall of Fame in 2015 and the University of Wisconsin Athletic Hall of Fame in 2016. 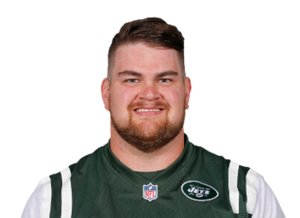 Born and raised in Williston, ND, a town with a population of 15,000, Qvale is in his 4th season with the NY Jets, proud to be in the NY area and to play football at the highest level. At University of Nebraska, he played college football, met his wife Melisa and earned an undergraduate degree in Exercise Science and a Masters in Educational Psychology. Post NFL, Qvale hopes to pursue a career as a strength and conditioning coach for a college or pro football team. He and his wife own and manage investment real estate in their college town, Lincoln, NE. When he gets a break from training, he enjoys traveling, spending an afternoon on the golf course, and trying new restaurants. One thing he loves the most about living in Morris County is the historical significance of the area and Morristown National Historical Park sites such as Jockey Hollow and the Ford Mansion.